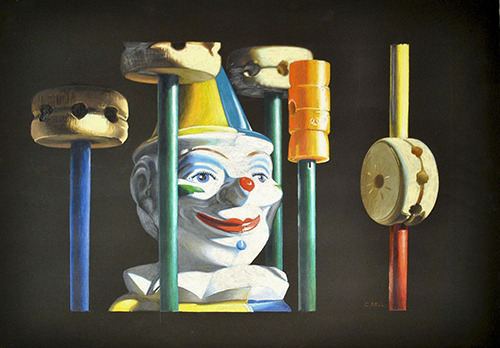 Why are clowns such a popular subject for artists? 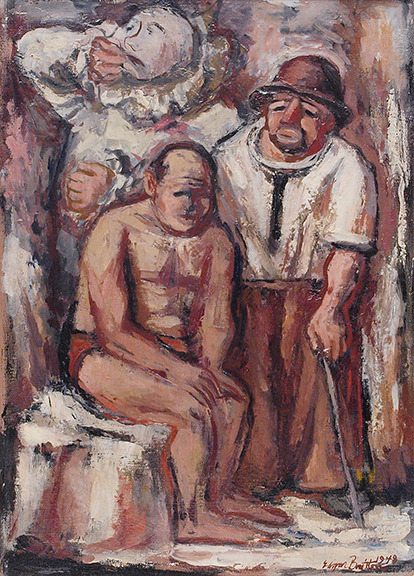 Edgar Britton, Clowns’ Dressing Room, Oil on linen, David Cook Fine Art. Click to inquire. Carrying over from last night’s mischievous festivities, this post is an homage to an institution dedicated to frights and thrills all year long-the clown. The lore of the clown, synonymous with traveling carnivals can often be seen in two lights. A clown entertains, but there is an additional layer of sinisterness-perhaps propagated through television (read: American Horror Story: Freak Show) associated with their act. 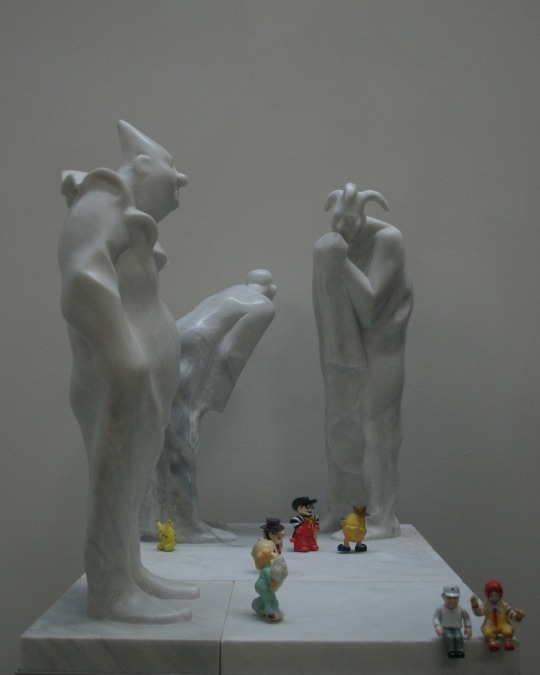 Armando Romero, the Circus, Marble, Tasende Gallery. Click to inquire. Regardless, clowns can be seen as misunderstood, tragic figures, recalling the Italian Commedia dell’arte who were masked individuals performing in the streets. They were often subjects in French Rococo works by Jean-Antoine Watteau, such as his famously melancholic Pierrot. Similarly, Picasso often painted the Harlequin, whom he identified with, and which was inspired by his interactions with circus families. 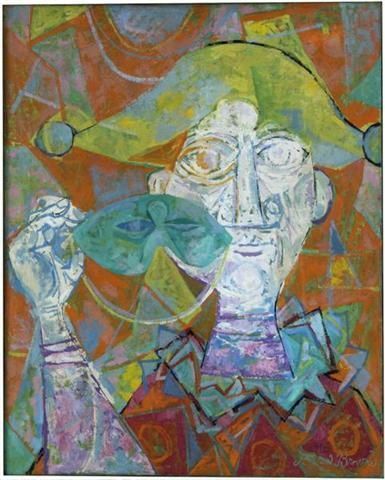 Byron Browne, Clown with Mask, Oil on canvas, Levis Fine Art, Inc.. Click to inquire. 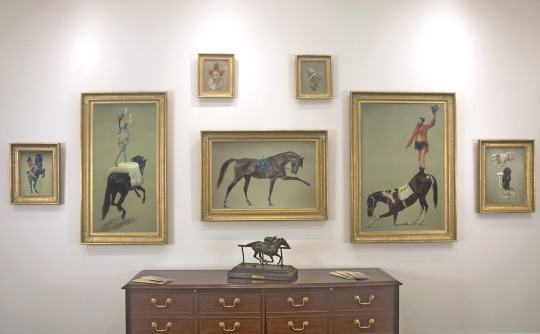 Jean-Richard Goubie, Le Cirque Francais (Set of 7), Oil on canvas, Guarisco Gallery. Click to inquire. Although connotations of the clown have changed, their clothes and make up, and outsider personalities have carried over today. Why have artists across time been fascinated with the figure of the clown? Perhaps artists identify with their loner persona? Charles Bell, Tinker Toys and Clown, Jonathan Novak Contemporary Art. Click to inquire.